We are a small company that prides itself on excellent customer service. If you have questions about our website services or how we can meet your needs, please contact us. If you would like to speak to us directly, our regular office hours are Monday - Friday 9-5 mountain time and our phone number is 505-898-2340. If these hours are not convenient for you, send us an email and we'll be happy to arrange another time to speak with you. And, we can even call you if you prefer. 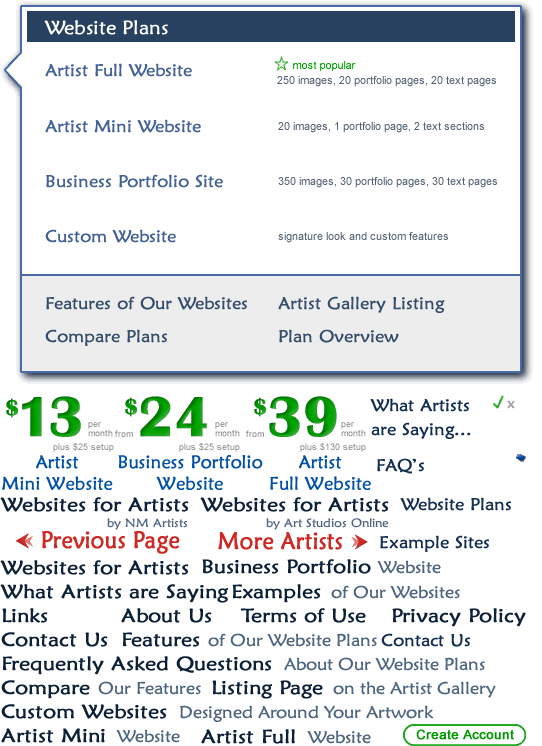 Please contact the artist directly via the phone number or email address listed on the individual artist's page.